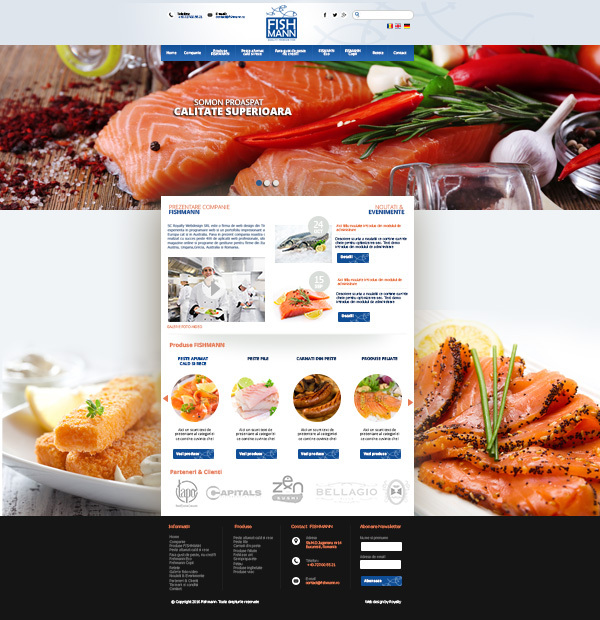 Presentation site for a fresh and frozen fish products distribution company. Online catalog of fish products. Online fish shop with fish products. FISHMANN brand recipes are from Germany and adapted for fish processing. Their products are 100% fish fillets combined with spices and natural flavors and are a real delight. The website made by our company presents fish products, which do not have the specific taste or smell of fish, due to the way the fish is fed and prepared for processing. The web page also contains a culinary recipe section.